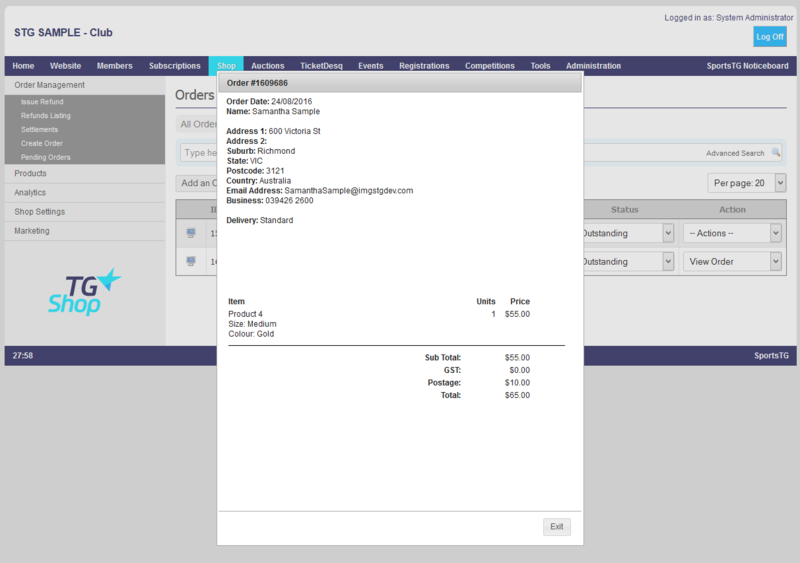 Viewing Orders allows you to view any outstanding orders and the details of them to allow you to pack and complete the order. You can view the Postal Address and Item Requirements for each order within the system. 2. This page will open automatically onto your Outstanding Orders. 3. Select the dropdown next to the order you want to view, and click View Order. 4. The Order Details will then open on the screen for you to view all applicable information. Note: Order details can be viewed at every stage of the order process from Outstanding through to Completed so that you can confirm that you are fulfilling the order correctly.